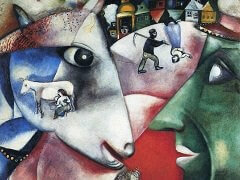 This serenely calm painting captures a poignant moment in the life of Marc Chagall and his wife Bella. Executed during their honeymoon in 1915, it shows the artist reclining dreamily in front of the family's dacha, or country house. 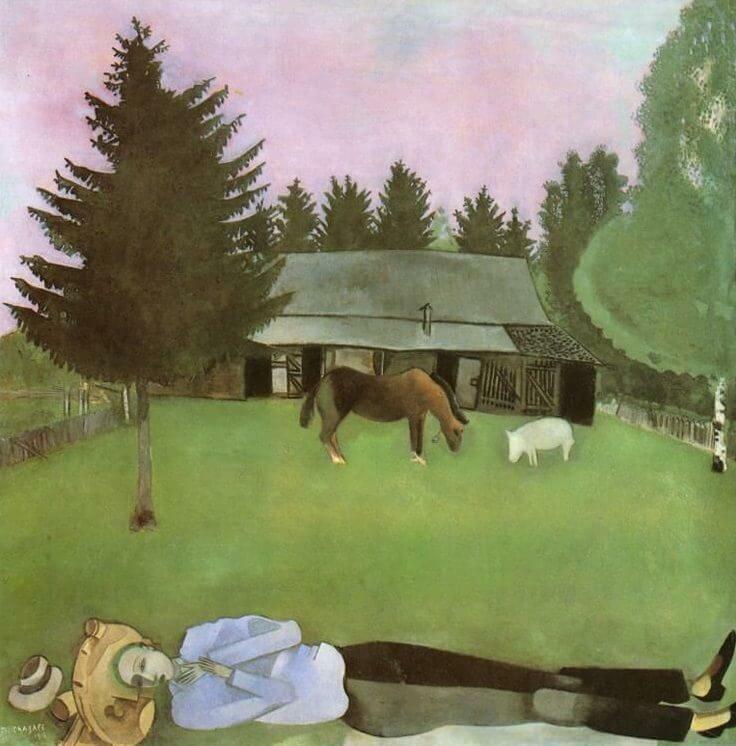 Along the very bottom of the composition, he lies stretched on the grass, his body dramatically elongated, with the vast majority of the picture taken up with a violet dusk sky and verdant pine forest landscape, home to a modest farmhouse and its animals. 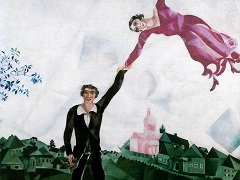 The couple had reunited the previous year in their home town of Vitebsk following Chagall's return to Russia after three years in Paris, where he immersed himself in the artistic innovations of the avant-garde, developing a daring colour palette and experimental compositions in response. 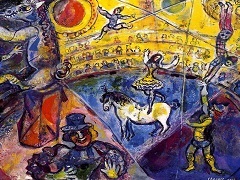 Chagall's self-identification in the title of this work as a poet rather than an artist is telling, reinforcing his preference for the literary rather than artistic world, as his friendships with Guillaume Apollinaire, Blaise Cendrars and other poets and critics in Paris suggested. 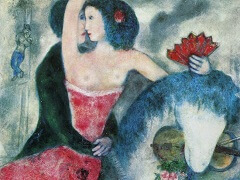 The tranquillity of this scene is, however, laced with uncertainty and unease: Chagall paints himself with an ashen, near deathly pallor, and with his arms laid over his chest the resting body almost resembles a corpse. 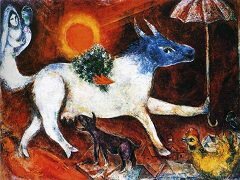 Social and political turmoil laps at the edges of this peaceful scene: the First World War was taking place on Russian soil and had shocked Chagall upon his return. 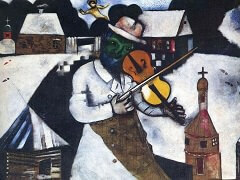 Many of his other works from this period document the effects of the conflict upon the Russian people.